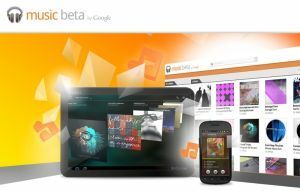 At Google's I/O 2011 conference, the Internet behemoth announced two new launches - it's latest OS and a music service. The company also shared how its mobile OS Android has been gaining traction over the year and various partnerships to grow the ecosystem. Recently the Android team released a few updates at a Google developer's conference in San Francisco. And according to them currently there are more than 100 million activated Android devices, plus every day 4,00,000 new Android devices join their ranks. In addition to this there are 2,00,000 applications in the Android market which are either free or paid. More than 4.5 billion applications have already been installed from the Android Market and that number is increasing every day according to the official Google blog. What the video of the keynote on YouTube. There have been eight versions of Android in the past two and a half years and the next version is already in the pipeline. Called Ice Cream Sandwich, the next version of Android operating system will work on both mobile phones and tablets unlike Honeycomb which was restricted only to tablets. It will also have a holographic user interface, the new launcher and better multitasking and widgets. "Our top priority for Ice Cream Sandwich will be one operating system that runs everywhere," said Android engineering team Chief Mike Claron. A new service called Music Beta by Google was also launched with which people can upload and stream music to their computers and Android devices. With the service, music and playlists are automatically synced, and it has features like Instant Mix for creating new playlists and allows the user to listen to music even when they are offline. The service has been launched in the United States and currently is invitation basis only. Another addition to the Android Market was made in the form of movie renting, which allows the user to rent and watch movies on their computers or Android devices at a starting price of just 1.99 dollars. An announcement was made that industry leaders Verizon, HTC, Samsung, Sprint, Sony Ericsson, LG, T-Mobile, Vodafone, Motorola and AT&T have collectively formed a team to work together so as to understand how quickly devices are updated after a new platform release, and how long they are continuously updated. It was decided that till the hardware allows, all the partners will receive the latest Android platform upgrades for a year and a half for all their new devices launched. New developers will get help from the Android Open Accessory which will help them build new hardware accessories that work on all Android devices. Also Android@Home was tested which will enable Android apps to connect with appliances and other devices at peoples home.